Microsoft is going to offer the users the ability to sign into Windows 8 with a Windows live ID, which can be regarded as a smart move from Windows in terms of the competition for the next generation Operating System. The other competitors in this field are Google Android and upcoming Apple’s iCloud. According to a post on 26th of September on the “Building Windows 8” blog, their belief that this move will ensure that the PC user has a personal experience that seamlessly bridges their online and offline tasks, is simpler to set up and use, and to persist across their set of Windows 8 PC’s. As soon as a consumer purchases a Windows 8 PC he will be provided with an option for creating an account linked to a Windows live ID. And from that point of time the users will be able to sign into any Windows 8 PC with his Windows live ID, and Windows live will personalize all of the user’s settings on that machine. The personalized setting on a PC will include lock screen pictures, desktop background, user tile, browser favorites and history, spell check dictionaries, Explorer settings, mouse settings, and accessibility settings. Windows 8’s Metro-style applications will also be synchronized with the live ID, which will include their settings as well as their most recent state. 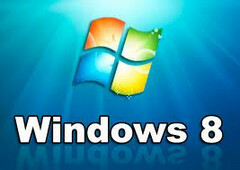 Websites that leverage the Windows Live ID, such as Hotmail, will not require a second sign-in after the initial log-in to Windows 8. The users will also have the ability to sync their devices across multiple devices, which is offered by various companies with a little difference. It also seems that Windows 8 has a tight integration with online services. The Windows 8 designed for both desktop PC as well as Tablets, and is expected to hit the market by 2012. Microsoft seems to be gearing up the processes related to Windows 8, so we may even expect the windows 8 in the next few months, as till no deadline is fixed.